Now you can have great looking legs without the discomfort, hassle and runs of nylons. Nyce Legs Spray on Instant Nylons hides spider veins, scars and blemishes. It's easy to apply, won't streak, and won't rub off. Rain, perspiration, pool water, surf, even bed sheets won't take away Nyce Legs. Remove with soap and water. Perfect for every occasion and wardrobe. You won't believe how great your legs look and feel with Nyce Legs! NOT TOO CLOSE: Hold can approx. 6 to 8 inches (20cm) from your legs. Spray in straight line up and down your legs. LESS IS MORE: Spray lightly. NYCE LEGS will dry within 10 seconds or less. Additional layers can be applied if you desire. 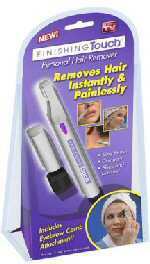 SMOOTH AND EVEN: Use your hands to even your NYCE LEGS after applying. Wash hands with soap and water. To remove NYCE LEGS, use soap and water. Water alone will not remove. Once dry, NYCE LEGS will not rub off on your clothes, sheets or hands.